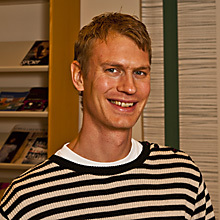 Andréas Godsäter became Senior Researcher at GovInn in 2014. His current main scientific interest lies in the democratisation of regional and global governance institutions through popular participation. For GovInn, he coordinates Work Package 8 on Interregionalism and Regionalism within the ATLANTIC FUTURE project. Andréas is also senior lecturer at the School of Global Studies (SGS) at University of Gothenburg, teaching International Relations. Since 2009 he has been a member of the international research team ‘International Democracy Watch’, co-ordinated by the Centre for Studies on Federalism, University of Turin, which studies the democratisation of various international institutions. Between 2006-2010 he was a member of a research team within GARNET, a European Network of Excellence on Global Governance, Regionalisation and Regulation, focusing on the role of non-state actors and civil society in the global regulatory framework. Andréas achieved his Master’s degree in International Relations from the University of Gothenburg in 2004. Two years later he started the doctoral education in Peace and Development Research at the SGS, where he defended his PhD-thesis on civil society regionalization in Southern Africa with focus on trade and HIV/AIDS, in 2013. Andréas has done a number of field trips to Eastern- and Southern Africa over the years. Andréas is a traditional music lover who contests downloading music from the internet, still collecting CDs and vinyls.